Everlast Services provides quality and affordable fencing, concreting and landscaping services in Truganina. We are a family company and we care about our customers and the local community. That’s why we always buy local; we only source Australian made and owned products to ensure we do our bit to support the local economy. We fabricate all of our steel products at our fabrication plant, this allows us to keep our costs low as we can create and supply a large majority of our products in our own space. Everyone in the Everlast team is passionate about their work and only satisfied with delivering the absolute best. You can expect quality workmanship, excellent communication and absolute respect for your needs throughout the project. Aluminium Slat Fencing: A sleek look, clean lines and amazing durability. Steel Fencing: Steel fencing is the answer to all your fencing needs. Swimming Pool Fencing: Compliant and stylish pool fences. Industrial Security Fencing: We’ll analyse your property and come up with a solution to keep it secure. Colorbond Fencing: Our prices for Colorbond fencing are unbeatable. Driveway Gates and Fences: If you want a stylish entry point, yo’ve come to the right place. Fencing Supplies: Australian made and owned supplies and steel made in our own plant, incredible quality and unbelievable prices. Aluminium Fence Panels: If you want to crate your aluminum fence, we’ve got everything you need. 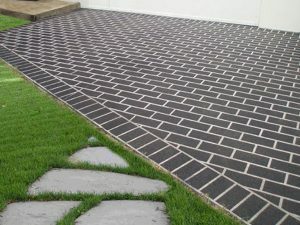 Concrete Driveways: Last forever, need little maintenance and wont cost an arm and a leg. Exposed Aggregate Concrete: Works with all houses, non-slip, durable and beautiful to look at. Painted Concrete: Revel in the endless possibilities of painted concrete. Landscaping Design: If you feel like you aren’t getting enough out of your backyard, let us display its full potential. Landscaping Installation: We’ll take care of everything from the design, to the installation and the pack-up. Landscape Supplies: You can rest assured that you’re getting the best for a fair price. Timber Decking: Jealous of your mates deck, or just want to spruce up the backyard – no mater what you want, we’ve got the skill to make it happen. Pergolas: Create another room, with our steel-frame pergolas. Get Your Free Online Quote Today!